This may seem strange but the castle of Chenonceau left me with mixed feelings of amazement and sadness. The place is utterly gorgeous but something (other than the hoards of tourists) creates an atmosphere of utter melancholy, which might have something to do with its history. There is a reason why Chenonceau is called the castle of the ladies: there were indeed a few. The first one was Katherine Bohier, who, with her husband Thomas, had the old medieval castle torn down, keeping but one tower, and launched the construction of the new castle in 1513, though the famous bridge was not yet designed. When Thomas passed away, Katherine disappeared as she was faced with all of her late husbands financial misdemeanors. The second one was an important figure in the French history of courtly love, none other than Diane de Poitiers, King Henry II’s mistress. Twenty years older than her lover, she had his love and careful attention for years. She also had Chenonceau, which she received as a token of love in 1547. Very careful about her appearance, she frequently swam in the Cher by slipping out through a secret kitchen door. A sporty woman by nature, she had a bridge built across the river in order to hunt in the deep woods on the opposite side of the river. When her royal beloved died, pierced by a spear during a rather silly confrontation, the third lady of Chenonceau swooped in. Henry II’s widow, Catherine de Medicis, asked Diane de Poitiers to hand back the castle in 1559. Catherine de Medicis ruled the country from that very castle and I dare say she ruled during some of France’s darkest hours, as the country was torn by the wars of religion as well as the plague epidemic. Nonetheless, Catherine de Medicis had the now famous gallery built on the arched bridge above that of her rivals and she gave some of the most sumptuous balls at the castle, including the ball of bear breasts in 1577. Her son Henry III was assassinated in 1589, leaving behind a heartbroken widow, Louise de Savoie. Louise went into the queen’s mourning – a white mourning – for eleven years, during which she lived in Chenonceau, where she had her bedroom painted black and covered in symbols of grief such as paintings of feathers, inverted cornucopias from which only fell silver tears or thorn wreaths. In other words it was gloomy and depressing. She also invited nuns to live in the top floors, transforming a part of the castle into a nunnery, given that they chose to isolate themselves by using a rather ingenious drawbridge, built inside the castle. Thankfully, other women left a more joyful mark on this castle, like Louise Dupin, for instance, and yet I cannot help but think about all these Renaissance ladies standing in the gallery of black and white tiles, gazing at the Cher and the woods, an image that breathed sorrow. To be perfectly honest, Chenonceau is quite a peculiar place: the woods are deep and dark. 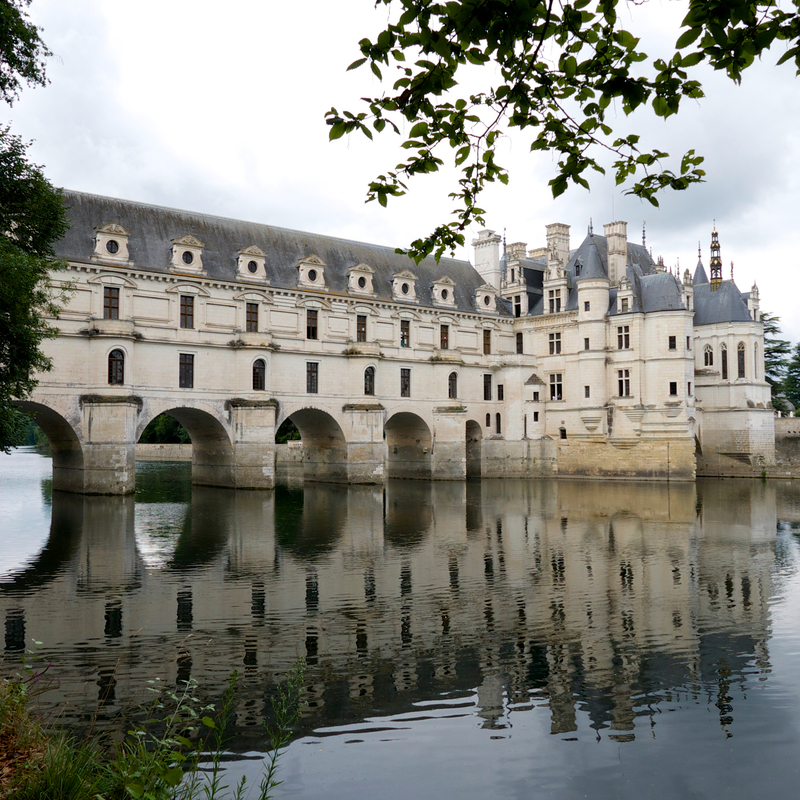 Energetically speaking, building infrastructure above running water is quite unusual, and Chenonceau is the only castle to be built on a river. One understands why quickly: running water drains everything with it, especially energy. The lovely gardens on the right bank – Diane and Catherine’s gardens – add a touch of joy and serenity to such a heavy setting. Chenonceau is moving in a tragic way, absolutely magnificent and, of all the castles of the Loire I visited, it is certainly the one that left me with the most poignant memories.